Home Helpers is a private duty home care agency serving Alameda and Contra Costa counties. Rated #1 by Entrepreneur Magazines in since 2006. Home Helpers' personal senior care services are tailored to meet the needs of each and every individually unique client. Selection of services and flexible scheduling enable Home Helpers to develop a custom care plan for each client that can be adjusted as clients functional needs change. Home Helpers? staff members are passionate about helping people. 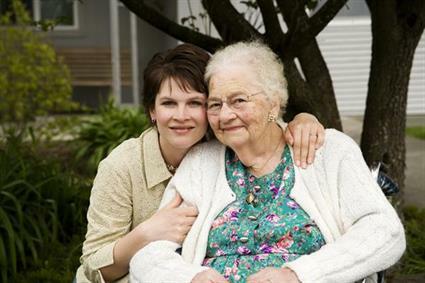 Each Caregiver is thoroughly screened, trained, insured and bonded. Home Helpers clients take comfort in knowing that their loved one's care is being provided by our trustworthy caregiver support team. Home Helpers clients enjoy the benefit of selecting only those services that are needed: Companionship, Personal Care, Transportation and General Assistance - everyday living activities such as housekeeping, laundry, preparing meals, sorting through the mail or organizing personal affairs often present challenges to people. Our caring staff can assist with household responsibilities making life easier for you and your loved ones. Clients with at least 30hrs/week will receive FREE Direct Link in-home emergency monitoring service, help is just a button push away. No binding contracts, only a Client Service Agreement - client can start/cancel service anytime. 24 hour client phone support. Home Helpers. Making Life Easier.